Uber set up a covert unit tasked with stealing competitors' secrets and engaging in undercover surveillance, a letter published by a US court on Friday has alleged. 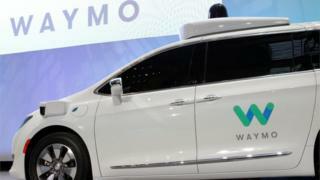 It is critical evidence in Uber's legal battle with Waymo, the self-driving car company that accuses the ride-sharing firm of stealing its technology. In a statement, Uber said: "While we haven’t substantiated all the claims in this letter - and, importantly, any related to Waymo - our new leadership has made clear that going forward we will compete honestly and fairly, on the strength of our ideas and technology." "These tactics were employed clandestinely through a distributed architecture of anonymous servers, telecommunications architecture, and non-attributable hardware and software," the letter read. What do we know about Uber's new boss? Mr Jacobs settled with Uber for $4.5m (£3.4m), and he has since said some of what he wrote was in fact not true, specifically the remarks about Waymo's trade secrets. In one particularly bizarre example, Mr Jacobs alleged that an Uber "surveillance team" was deployed to a hotel in order to record and observe conversations between executives at a rival company - the name of which has been redacted from the version of the letter made public. Specifically, those agents wanted to monitor the competitors' reaction to the news that Uber had secured a large amount of funding from a Saudi investor. The emergence of the "Jacobs letter" has been a dramatic turn of events in the Uber v Waymo trial, which had been due to start earlier this month but has now been delayed until February. Presiding Judge William Alsup was made aware of the letter's existence by the US Attorney’s Office for the Northern District of California, which is currently investigating Uber on a range of other matters. In court last month, Judge Alsup chastised Uber's legal team, accusing them of withholding evidence. "I can no longer trust the words of the lawyers for Uber in this case," he said. "We’re going to have to put the trial off because if even half of what’s in that letter is true it would be a huge injustice to force Waymo to go to trial." "There is no place for such practices or that kind of behaviour at Uber," wrote Tony West, Uber's general counsel, in a note to employees. "We don’t need to be following folks around in order to gain some competitive advantage. We’re better than that. We will compete and we will win because our technology is better, our ideas are better, and our people are better. Period."